Seeking a new Prime Moose! Are you interested in taking over the antlers and leading our organization? The Digital Moose Lounge is currently seeking a new Executive Director / Prime Moose to lead our organization into its next chapter. This role is a great fit for someone who can creatively and successfully find partnerships and funding, run large events, and make connections with people and organizations of all types. It is an opportunity to build or further develop a network in the Bay Area, and ideal for someone who is keen to develop a skillset within the non-profit sector. We are open to candidates from a wide range of professional backgrounds and accepting applicants on an ongoing basis. The Digital Moose Lounge is one of the longest-standing non-profit Canadian cultural organizations in the Bay Area. Founded in September 1999, our mission is to provide a social and professional networking platform for local Canadians to connect with each other and with Canada-based stakeholders and alumni networks. Through our web and social media presence, the DML is also a hub for information and activities that are of interest to Canadians. Our Prime Moose is the face of the Digital Moose Lounge and is a recognized leader within the expat Canadian community throughout the Bay Area. As Prime Moose, you will work with a variety of partners locally and across Canada, managing all aspects of our growing non-profit, from strategic planning and fundraising, to creative and seamless execution of events and programs. In this role, you will experience an exciting variety of projects and have the opportunity to collaborate with Canadians from myriad backgrounds and industries, and from all parts of Canada. You will make sure that the DML continues to contribute to building a strong, local community of Canadians. Wearing the Prime Moose antlers means reporting to, and working closely with, an engaged Board of Directors and enthusiastic volunteers. An ideal Prime Moose is passionate about the Canadian community and Canadian culture; highly organized and able to manage competing priorities; skilled in communication and comfortable with representing the organization publicly; and familiar with the requirements of reporting to a volunteer board. You will also be an energetic and entrepreneurial self-starter who is willing to spend time on fundraising activities, in partnership with the board. 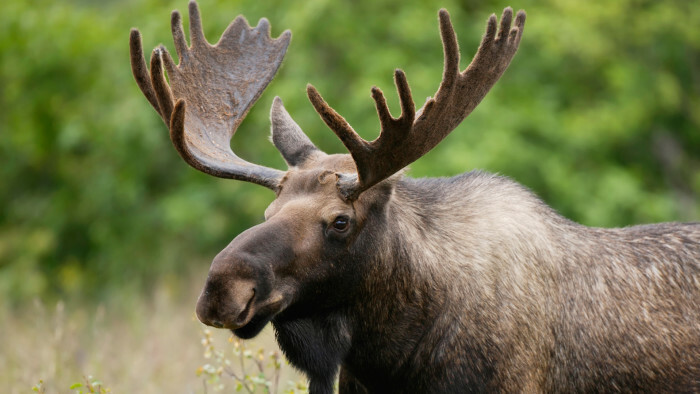 The outgoing Prime Moose worked approximately 12-15 hours per week, with peak times leading up to events on Canadian holidays (Victoria Day, Thanksgiving, and July 1 in particular). If you are interested in learning more, please contact Kathryn Exon Smith at kathryn @ digitalmooselounge . com and tell us a bit about you and why you are interested in joining us!